TV Aerial Digital Installation & Satellite Installers of Sky, Sky HD, Freesat & Freesat HD. Digitec-Aerials serve the Preston, Blackpool, Lytham St.Annes, Lancaster, Kendal, Leyland & Chorley areas of the North West. Our Aerial Services include complete TV Aerial install for Freeview digital Television, aerial repairs, cable replacement, extra TV points & sockets, plus TV wall mounting service for wall hanging LCD, LED or Plasma flat screen TV's. We are also Satellite TV engineers & provide Sky or Freesat Satellite Dish Installations for Sky, Sky HD, Freesat & Freesat HD. 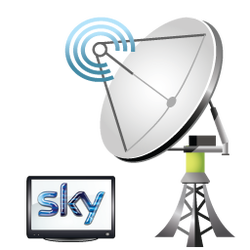 Call us for Sky repairs including Sky digibox receiver replacement service, satellite dish alignment & repair inc; LNB's, brackets, dish & cable. All of our work and equipment come with full guarantee. See below for more info on our services. When it comes to TV Aerials, here at Digitec Aerials we know our stuff. We offer a few different type of Aerials depending on your needs & the area you live. Whether you want a digital aerial for a new property or a digital aerial upgrade if you having problems with your TV picture, we'll supply and install the best system for you. Freesat is fast becoming the TV supplier of choice, partly due to its ever growing number of channels, & also because it's free. If you need a Freesat installation, or you require further info on Freesat and whether you can get it in your area, then give us a call and we will discuss all your options. Our services include Freesat installation, system set up, satellite dish installation, we can install extra TV points for satellite TV in more than one room. From satellite installation through to fault finding & repairs, here at Digitec Aerials we cover all bases. 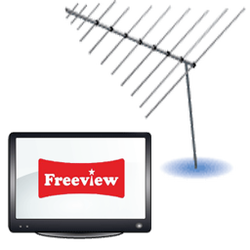 As well as being experts in Digital Aerials we are approved independent Sky Installers & Freesat satellite TV installers. Have sky refused to install your satellite dish or have they been unable to? Don't want to wait 3 weeks for Sky to repair your digibox? Well not to worry, in 9 out of 10 cases we can provide sky dish installation where they fail, & can usually fix any sky fault there and then. Do you require a magic eye TV link system fitting in your home, so that you can watch your favourite programs in another room, without having to folk out for multi-room? Digitec Aerials can do this too, we even supply special equipment for the new digi boxes which have had their RF outputs removed. From satellite Dish installation through to piping sky into other rooms and general repairs and fault finding, Digitec Aerials are here for you. 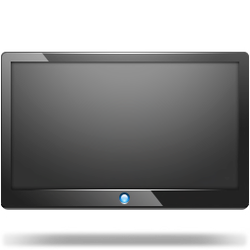 For a professional TV Wall Mounting Service, look no further, we have installed 100's of LED, Plasma & LCD Flat screen Televisions throughout the region. Whether you require your TV mounting on a stud or solid brick wall we have the expertise and equipment required for a safe installation. We also provide different brackets for mounting your flat screen Television. From the TV brackets that are flat to the wall, hinged TV brackets to ones which come out on an arm. With our discreet installation, we also provide trunking for your Television cables such as aerials and HDMI leads can be neatly contained & out of sight. So, rather than try this tricky job of hanging your Flat Screen TV yourself, why not leave it to us to provide a professional TV Wall Mounting you'll be happy with. We won't do £60-£70 rushed & badly fit Aerial installs! We won't walk dirt or mud into your carpets! We won't charge you V.A.T!